Snacks always don’t have to be fat-trapped! Just a wise thinking of the choice of ingredients and the method of cooking can make fabulous snacks which do not raise the blood cholesterol levels. In fact they can abound in fiber which help to reduce the blood Cholesterol levels. Looking for light snacks? Try recipes like Khumbh ke Kebab, Moong Dal and Spinach Idli or Spinach and Paneer Dip. And if you have missed out on your lunch by chance, then turn towards a more filling snack like Healthy Bean Quesadilla, Spicy Oats Pancake and Cabbage Jowar Muthias. 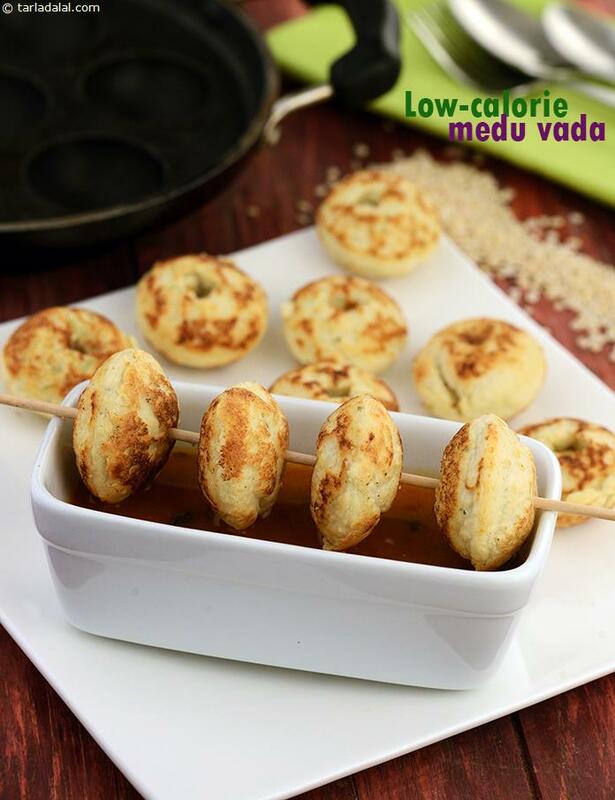 To site a few examples of non-fried snacks, we have Baked Palak Methi Puris and Baked Methi Muthias in this section. Sprouts are a healthy addition for snacks too. They are easy to digest and the process of sprouting increases their fiber content too. We have carefully tried and listed recipes using sprouts in this section. Methi and Moong Sprouts Wrap, Lehsuni Matki Palak Tikki and Sprouted Moong Chaat. We are sure you will fall head-over-heels in love with these amazing snacks and starters. But do remember moderation in the key to healthy lifestyle.